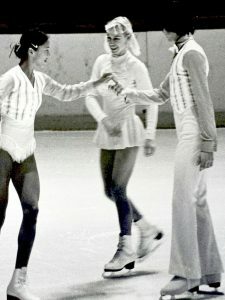 Tai Babilonia and Randy Gardner are the last U.S. pairs team to win a World Championship title, in 1979. 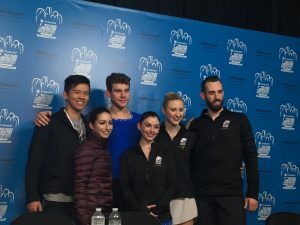 They took some time out from preparations for their 50th anniversary season to share their thoughts on the current pairs scene. Tai: “In 1976 in New York City, we were doing a show called Super Skates at Madison Square Garden and Ludmila and Oleg were also in the show. Randy and I had a really good outside death spiral, and during rehearsal, they taught us the forward inside death spiral, which they invented and called the life spiral. Randy: “When we were a young pair team, the Protopopovs came to our training rink in Santa Monica for a visit. 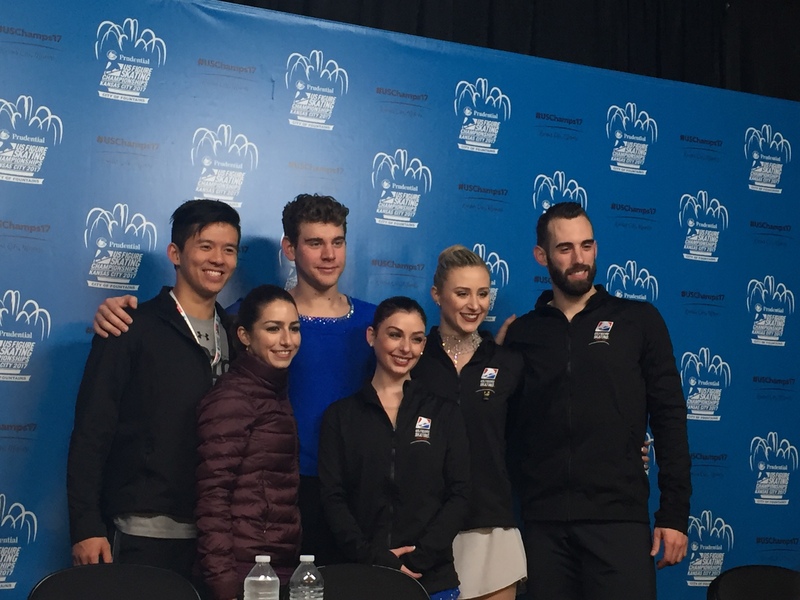 They had just recently defected and were getting ready to make a living here in the US with their skating. When they stepped out onto the ice that, my heart melted. Then our coach, John Nicks, had them work with us on a few moves, namely the death spiral. They demonstrated, watched us, gave instruction and I absorbed every word they said. So did Tai. Then a few years later, we competed with them in the World Pro Championships. Tai and I tied for first place with them. What an honor.